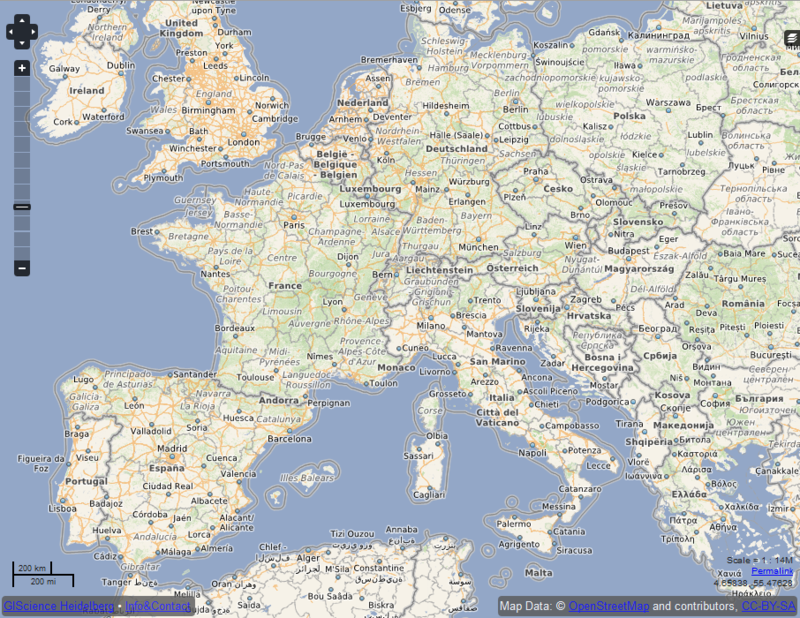 OpenMapSurfer was initially presented in early 2012 and has thus been online for over 7 years now. This meant that the tile server (korona.geog.uni-heidelberg.de), which had already surpassed it’s hardware’s expected lifespan by a significant margin, had to be replaced by something new. We have deployed the map styles offered by OpenMapSurfer on the brand new cloud computing environment by Heidelberg University (heiCLOUD). The tiles can now be accessed through the openrouteservice api. Please sign up there and request an API token. Currently, requests are limited to 40 tiles per second which will be increased. If you need more than that, please send us an email to support@openrouteservice.org with your API token/key and HTTP origin (referrer) from which the requests will be made.